This latest dressing is a creamy version of the Cilantro Lime Vinaigrette. 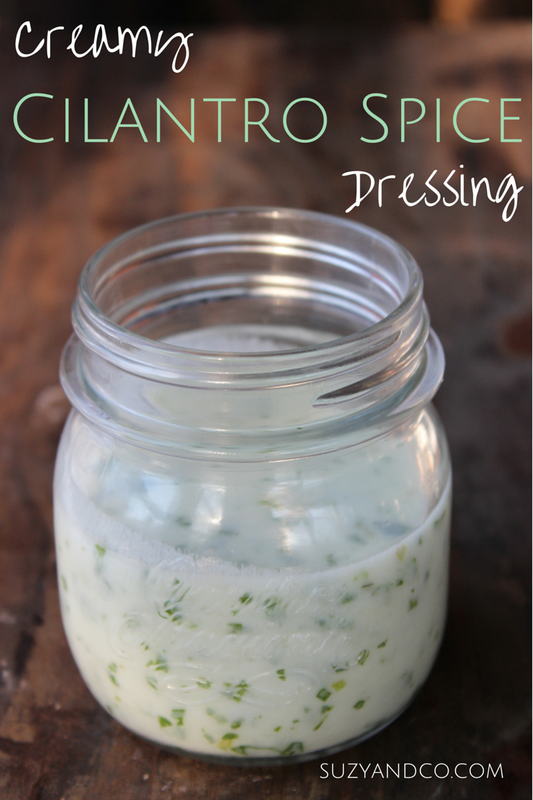 I took the cilantro lime vinaigrette and simply added 3 ingredients to transform it into a creamy spicy dressing. You may be tempted to just add some sour cream to make it creamy, but adding the additional spices to this really makes the flavor much better. Since sour cream is more bland, adding cumin and cayenne offsets the sour cream. I wouldn't say this is spicy, but it definitely has a kick to it. That is it. You may want to adjust the spices depending on how spicy you like things. I used this to make a southwest type salad. I have done a series of homemade dressings and sauces, you can find all of them listed with links.